Cantamus Chamber Choir with their conductor Michael Daniels and organist Steven Hollas offer a diverse programme of choral music. 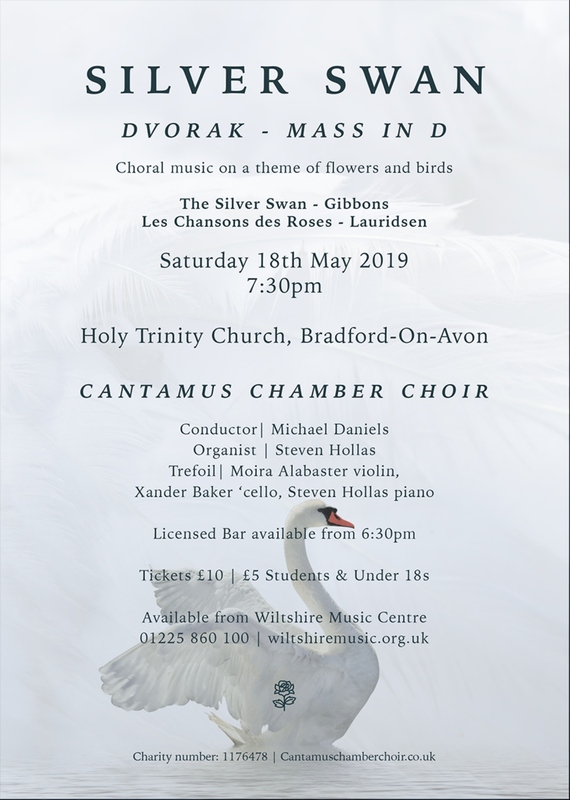 Dvorak Mass in D, Lauridsen’s “Chansons des Roses” and the much loved “Silver Swan” by Gibbons are amongst the works in this concert at Holy Trinity church. Find out more about Cantamus Chamber Choir online now.